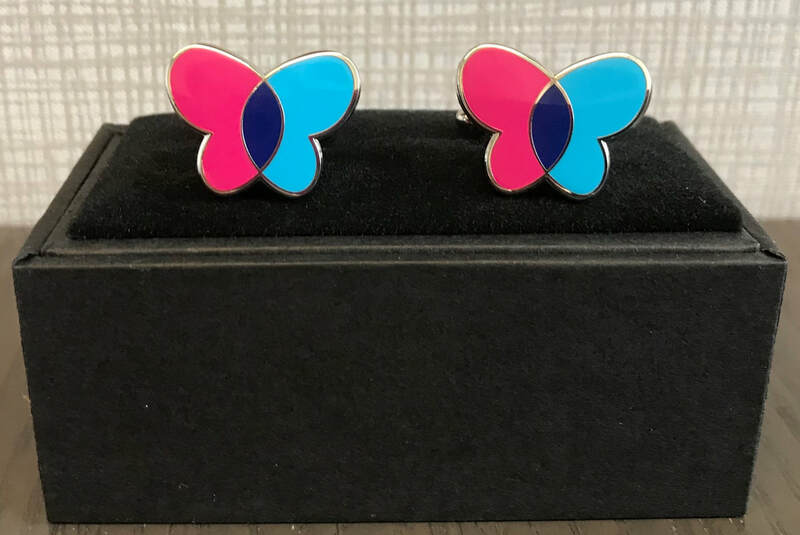 This Father’s Day, add some flare to Dad’s wardrobe with a pair of high-quality enamel cufflinks custom designed for EB Research Partnership! The special butterfly design symbolizes both the skin fragility of individuals with EB, as well as their incredible resilience and ability to soar in spite of the daily challenges they face. Purchase these exclusive cufflinks by Tuesday, June 12th to receive your gift before Father’s Day on June 17th. One pair costs $100, shipping included, and all proceeds go directly to EB Research Partnership. Each purchase not only elevates Dad’s style, but also furthers our progress on the path to #healEB.